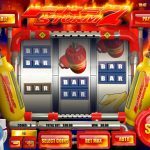 Firestorm 7 is a 3 reel / 1 payline slot game released in 2016 by Rival. In this game, where the theme is clearly Fire, Rival is doing what it knows best and that’s designing very engaging 3 reel games. There is one scatter in this game which is already a good thing and this is the Red Gas Tank symbol. When you land 1 or 2 on the payline you will get 7 or 21 Free Spins respectively. 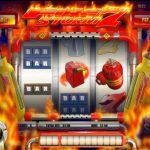 The screen then will be engulfed with flames and all your wins during this round will come with a nice 3x multiplier. 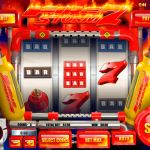 Firestorm 7 is a great looking 3 reels slot game that also delivers on the experience. If you’re a fan of the genre then this is certainly one that should be in the top. The RTP is however a bit low at 94%. If you’re into classic 3 reels slots then maybe you should consider playing Fantastic Fruit a 3 reel slot by Rival.